Hypnosis is a naturally occurring state which can best be likened to a pleasurable mental feeling of being somewhere between asleep and awake. You will still be able to hear my voice, and be consciously aware and you may experience a deep sense of peace and tranquillity. Hypnotherapy is therapy that utilises hypnosis and is a calming and empowering experience. This helps me to unlock the power and resources within you to improve the effectiveness of the therapy. Hypnotherapy is completely natural and safe. There are no harmful side-effects. When administered by a professionally trained and skilled Hypnotherapist the benefits are long lasting and often permanent. In all of the above issues, the inability to relax and think calmly and clearly is often an exhausting symptom. By learning that you can relax and that you can begin to regain control of your mind and body, you will see that you are able to do something to change your life and not live it in the grasp of seemingly “uncontrollable” urges, thoughts or behaviours. Hypnotherapy works at many levels from a sense of “daydreaming” through to an almost “out of body” experience. Your subconscious will guide us as to the right level for you. I work with you to help free you from the issues affecting your life, I am not trying to “overpower your subconscious” mainly because your subconscious is trying to help you. We are working with it, gently and constructively, letting it know it can let go of past conditioning. Sometimes, you will relax and just listen to my voice. Other times I may ask you to speak with me in hypnosis. In all cases you will be “present” and aware of what you are experiencing or saying. As with psychotherapy, it is vital that you have a good and trusting relationship with your hypnotherapist. 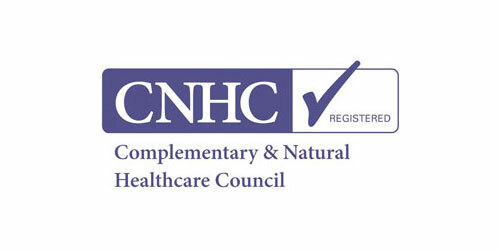 I am a member of the Complementary and Natural Healthcare Council (CNHC). The CNHC ‘quality mark’ is recognised as the hallmark of quality for hypnotherapists. The Department of Health recommends that, when seeing a hypnotherapist, you consult with one that is CNHC registered.